Yeah, we all do it. But what you may not know is that all that produce already has to conform to grocery store sizes and qualities. The produce that doesn't make the cosmetic grade tends to get tossed. Yeah, we're talking about quirky shaped carrots and oblong yellow onions or really small avocados. According to UNESCO and the Environmental Working Group, 1 in 5 of these fruits and vegetables don't meet cosmetic standards and go to waste. All of them food we could eat and enjoy. Now you might find ugly produce at your local farmers market--and you should buy them since there's nothing wrong with the quality. 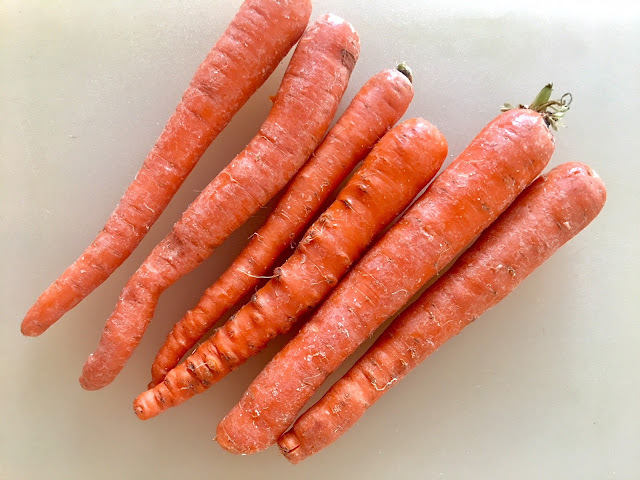 But here's another option for your "no-waste" tool belt: Buying from a San Francisco-based food subscription company called Imperfect Produce. Imperfect Produce was founded in 2015 by Ben Simon and Ben Chesler. Simon had originally founded the Food Recovery Network as a student at the University of Maryland after noticing food going to waste in the cafeteria. The FRN has since expanded to more than 180 colleges and universities across the country. 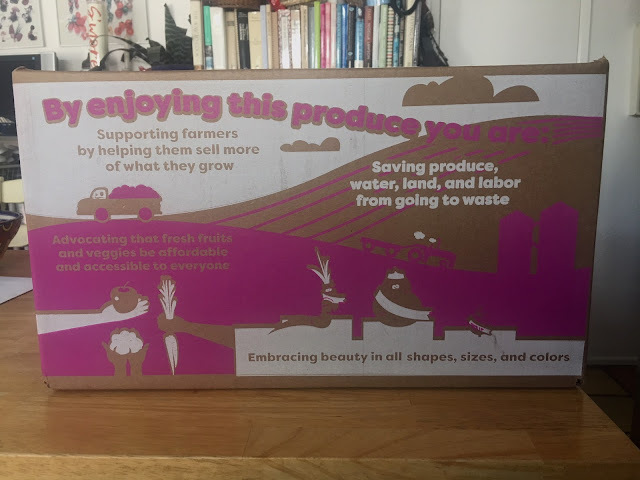 Simon and Chesler decided to scale the concept nationally and to source "ugly" produce directly from farms. They would then deliver it directly to consumers' homes at a discount. They claim their pricing is about 30 percent less than grocery store prices. The produce arrives in a recyclable cardboard box--and nothing else--to limit waste. 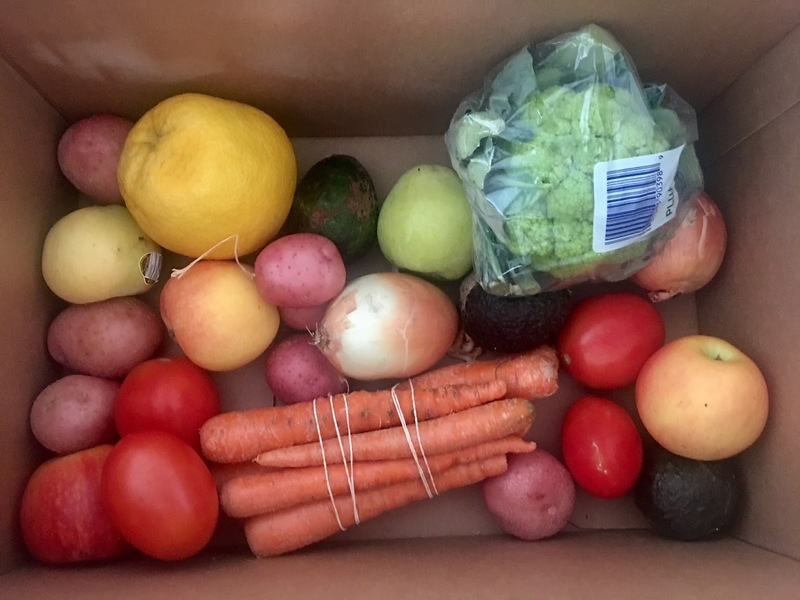 Like a CSA, you can choose from a small, medium, large, or extra-large shipment, organic, all fruit, all veggies, or mixed, with costs ranging from $11 to $13 weekly or bi-weekly for a small (7- to 9-pound) box of conventional produce to $39 to $43 for an extra-large (23- to 25-pound) box of organic produce. And you can customize your order. A few days before your delivery is scheduled to arrive you'll be notified that you can log in and select from 30 to 40 items what you want--you know, so you won't waste either. So if you hate beets or want all fruit, you can skip the beets and order citrus or whatever else is available. The site has tips for how to get the most from customizing--for instance, stocking up on items with a long shelf-life and multiple uses, like onions, potatoes, and hard squash that can be used in soups. 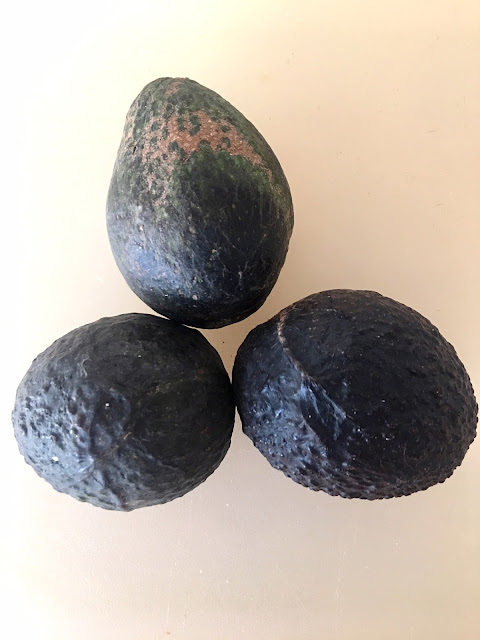 Imperfect Produce has already launched in the Bay Area, Los Angeles, Orange County, Portland, OR, Seattle/Tacoma, Chicago, Indianapolis, Milwaukee, and San Antonio. And in keeping with its mission, any produce that doesn't go to customers goes to a food bank or other nonprofit. According to the company, it has recovered 30 million pounds since its launch. The company also collaborates with local restaurants. So far, Puesto is lined up with Chef Katy Smith using "ugly" carrots in the restaurant's escabeche and other produce in an upcoming "Taco of the Month." Modern Times will brew a collaboration beer utilizing Imperfect Produce. They expect other restaurants to come on board soon. While Imperfect Produce tries to source locally, the options vary by the day and week, depending on the seasons and weather. Their company philosophy is "follow the waste" and, they note, since more than 80 percent of the U.S.'s produce is grown in California, this is where they source most of their fruits and vegetables. But, they also source from out of state and Mexico when it's necessary and seasonally appropriate. "Our primary focus is reducing waste. Food waste has no borders," their website notes. "Waste is a problem worldwide, and we do what we can to reduce waste wherever and however we can. In the winter, this means sourcing from Mexico and beyond." I got a sample box that contained four Roma tomatoes, a very small head of green cauliflower, a grapefruit, several apples, a couple of small oblong yellow onions, three small avocados, a bunch of carrots, and several small red potatoes. All look very appetizing. I've been enjoying the carrots (as has my dog Ketzel, who scarfed one from the counter), the potatoes, and the tomatoes so far. For those who say, "Keep it local," I'm with you. First choice is to buy local and from our farmers. But I consider Imperfect Produce to be a great tool for those who can't get to a farmers market. In San Diego, admittedly it's not as critical. But for the time pressed, it's a great convenience. And consider some of the markets they're in that don't have a year-round growing season. I hope some of our farmers can get in on this so that eaters in Milwaukee or Indianapolis or Chicago can enjoy what we enjoy in January--and save food from landfills!